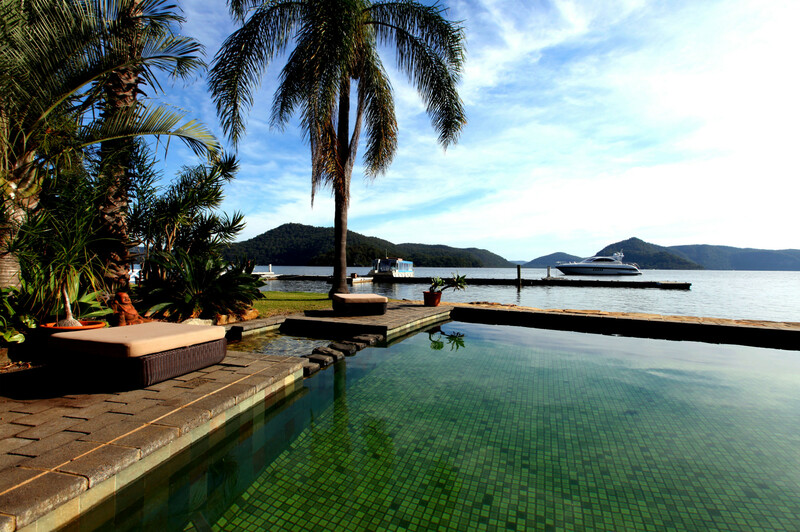 Peats Bite offers six split level villas sitting over the water. Large sliding doors open to the river and views of the surrounding national parks. Relax and listen to the splash of fish and lapping water under the deck. These spacious north facing villas are suitable for one couple however for group bookings the queen size daybed is perfect for additional accommodation. Peats Bite is about relaxing and enjoying the river. There is a large in ground pool and plenty of lawn and garden to lounge on. For those more adventurous there is SUP boards, kayaks and tinnies for hire. For group bookings please email for further information. Accommodation is not suitable for small children however consideration can be made for group bookings. Any guest with mobility issues, or a pre existing medical condition, must have a personal consultation with Peats Bite management, before a booking can be considered.